It is ridiculous to make plans in this world, especially when Bulgakov’s Annushka has already spilled the oil. The convulsion of nature in the neighbouring Japan confirms this once again. The destiny of Japan in general and of the UIA Tokyo Congress in particular is of great concern, as well as the courageous behaviour of the whole nation in the face of Mother Nature’s devastating anger. Actually, the subject of this issue – a long-term prognosis – was suggested by the themes of the UIA Congress “Design 2050” and of the next Winter University Session “Irkutsk 2036”. If you want to make God laugh, tell Him your plans. However, the essence of our profession is creation of environment for future life. So we cannot do without long-term prognoses. An architect works for the future, but there are many futures. There are a number of trajectories of further development starting from the point of today. Every scenario leads to its own future, and the architect is to choose the future with maximum realization chances, to reveal and to study several vectors of possible course of events and to choose the most harmonious among the realistic ones. The science of future development appeared more than one hundred years ago. Today its first experiments look childishly naïve. The day before yesterday’s fantasies of cities in the early 2000s evoke a gracious smile more often than admiration for their precise prediction (81). Modern forecasting has acquired all the attributes of a serious science and even a technology. Should we take the contemporary futurists’ prognoses so serious? Won’t our today prognoses, foresights and strategies show the same naivety in several decades? Only one thing can be confidently said about the future: it will happen. The day after tomorrow will come. What the day will be like? Which trends will be realized and which ones will be considered just as funny illusions? Among other things, it all depends on us, living today. GRIGORYEVA, Elena. after tomorrow. 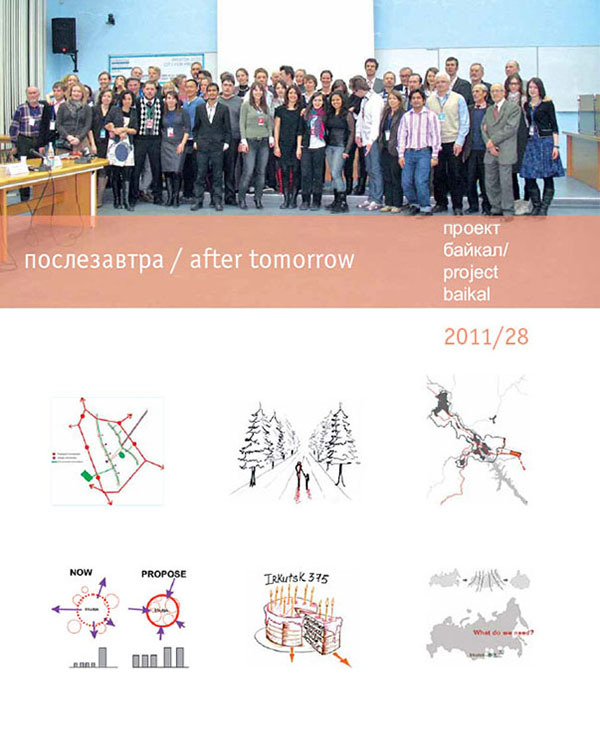 project baikal, Russian Federation, n. 28, p. 1-1, may 2011. ISSN 2309-3072. Available at: <http://projectbaikal.com/index.php/pb/article/view/42>. Date accessed: 20 apr. 2019. doi: https://doi.org/10.7480/projectbaikal.28.42.